Mark Mrla, P.E., PMP Director, Strategy Operations, Slayton, MN Mark Mrla joined Finley Engineering Company in 2008. Mark currently serves as Director, Strategy Operations. Prior to this he was a Business Unit Manager designing, budgeting, scheduling and implementing power, telecommunications and technology projects as well as focusing on tier 1 and 2 carriers, government entities, and national accounts . In addition, Mark coordinates teams and processes for client loan and grant applications for various government programs. 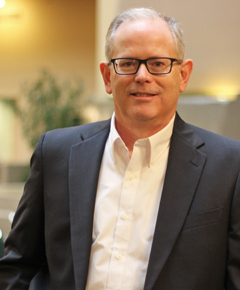 Prior to joining Finley, Mark served in various management and technical positions at MidAmerican Energy Company, Gateway, Inc., and owned and operated a private technology consulting company. Mark has served in numerous leadership positions on various community and professional boards of directors and committees. Mark is a certified Project Management Professional (PMP) and is a registered Professional Engineer (PE) in several states. To contact Mark call our Slayton office at 507-777-2000.